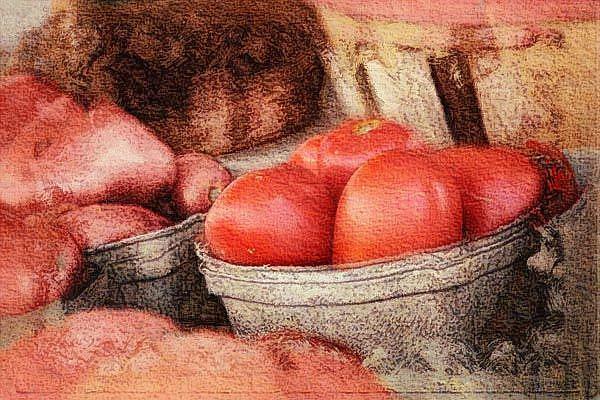 Tomatos Galore was created from an image I took at our local Vegetable stand. The tomatos look so good I just had to take a picture! I did several things to the image using Photoshop. I layered, blended and used some filters on it plus making another layer and using a digital brush on the edges. I worked some more on it this morn and now I am satisfied with it! I am entering it in the Flower of the Month Exhibit here at EBSQ which is Summer Vegetables. I think a tomato qualifies....!